Dream Pillow This title alone brings images of rocking, cuddling, singing, and lulling to sleep. But leading up to sleepy time are many upbeat and playful activities. Babies and Adults will swirl to a dreamy cloud dance “Meet Me Tonight in Dreamland.” They’ll also play baby appropriate instruments to “Aiken Drum,” and “Sarasponda.” Favorite nursery rhymes like “Wee Willie Winkie,” and “Diddle, Diddle, Dumpling,” are sprinkled throughout the classes. It’s easy to weave many of the class songs and activities into your families’ daily routines. 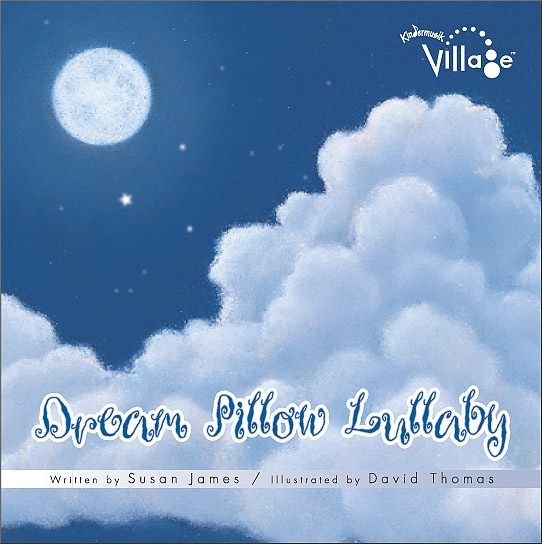 Home Materials: A board book that calms and relaxes–Dream Pillow Lullaby, Home CD of the songs heard in class, a set of Art Banners for the nursery wall that strengthens vision and promotes early literacy, and a fish baby shaker for music-making at home.